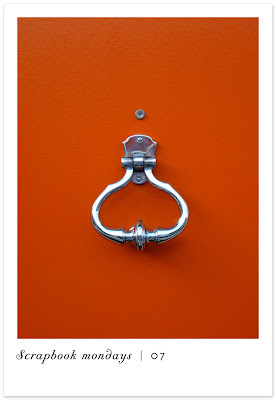 ... love an orange door. especially this one with that door knocker. the combination of color + material is just stunning.